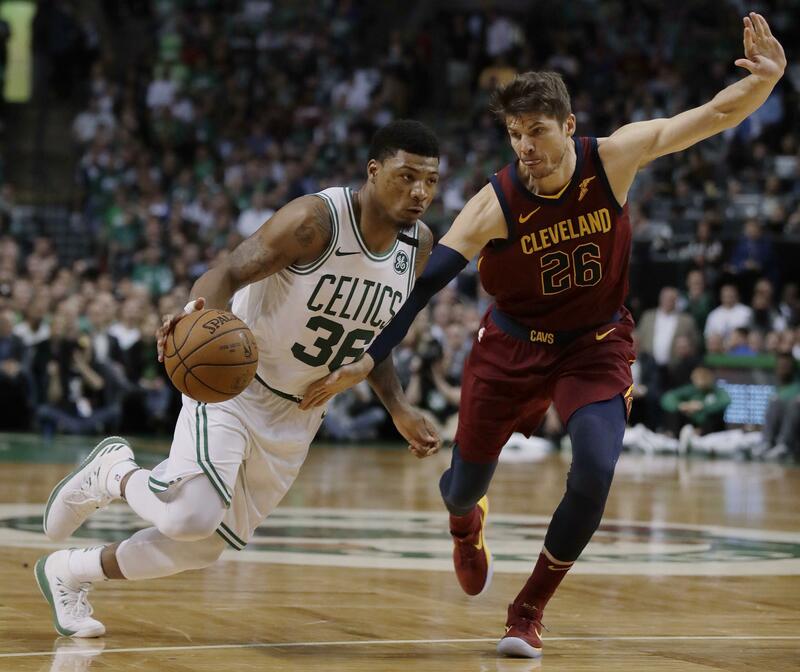 BOSTON – Celtics coach Brad Stevens has said what has carried his team through the NBA postseason is its ability to make “winning plays” with the game on the line. “That’s me. That’s how I was raised,” said Smart, who was Boston’s top performer off the bench in the Celtics’ 107-94 Game 2 win with 11 points, nine assists, five rebounds and four steals. “I’m the youngest of four boys. My whole life I had to fight. “One of my guys was down, and I took offense to it,” he said. LeBron James called Smart’s creativity on the court “uncanny,” and Kevin Love said the Cavs can “definitely learn” from what Smart and Boston are doing to them. “We’re just trying to preserve life,” Smart said recently of how she’s doing. “At her age a transplant would probably be more harmful than good. … It’s tough, but my mom’s a tough cookie. Published: May 16, 2018, 12:12 p.m.